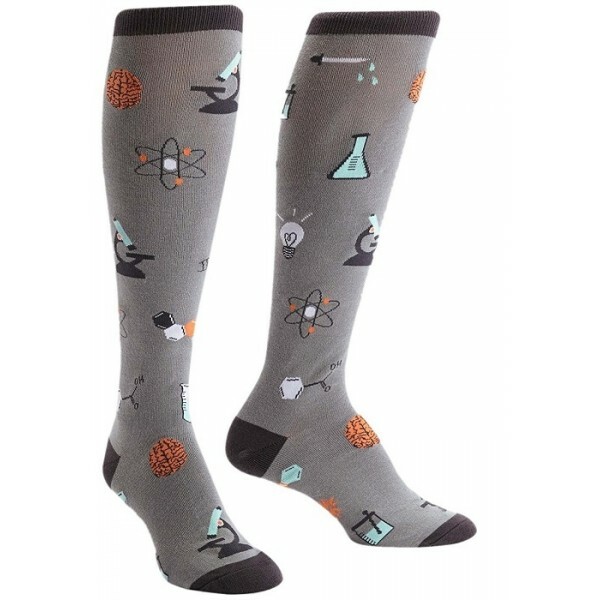 From Sock It To Me, these 75% cotton, 20% polyester, 5% spandex knee socks are perfect for the scientist in your life! Featuring images of scientific paraphernalia and tools - including the most important tool, a clever brain! 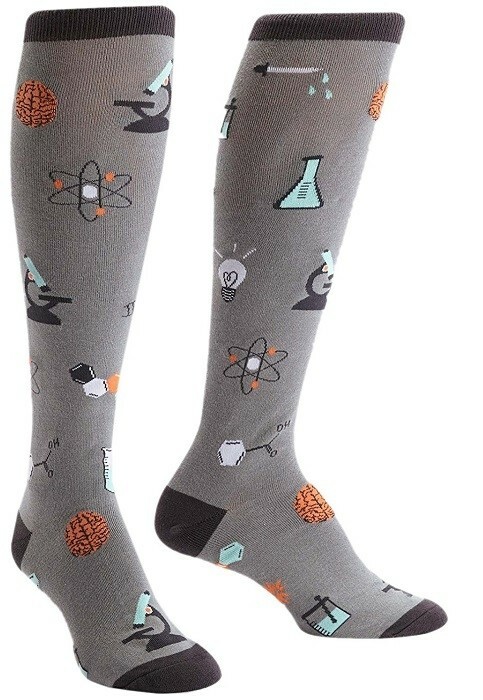 - these socks are a great way to show off your love of science. Available in one size, fits most age 13 and up.